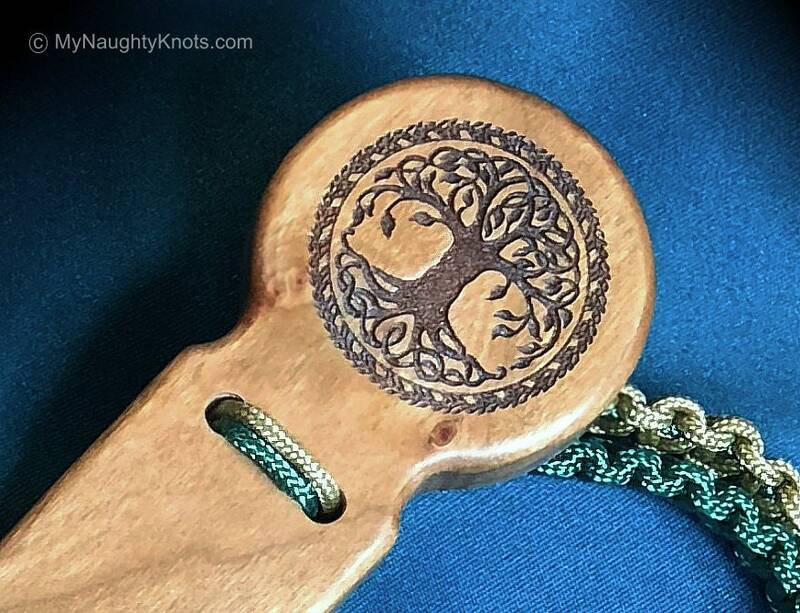 Flogger with engraved Tree of Life on pummel, has unique design which offers great control and 72 nylon cord sealed stingers 16” long deliver “ouchy“ pleasure to your submissive, slave, or play partner. Handle is 7” long and made of cherry wood. Free engraving name or initials. Nylon cord is green and gold. 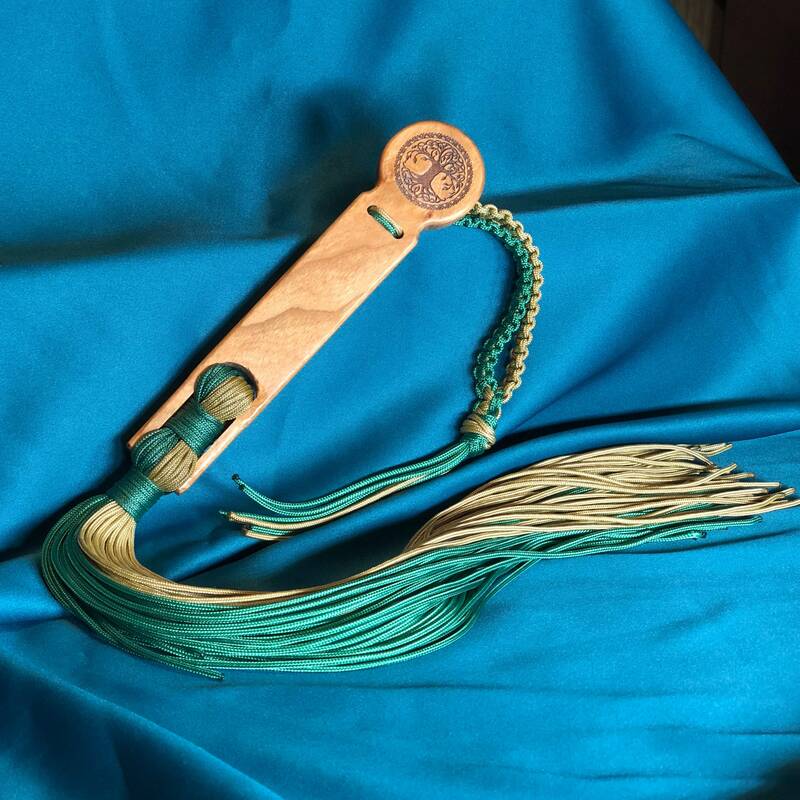 Looks great hanging from your belt or on the Dungon wall and makes a wonderful gift.